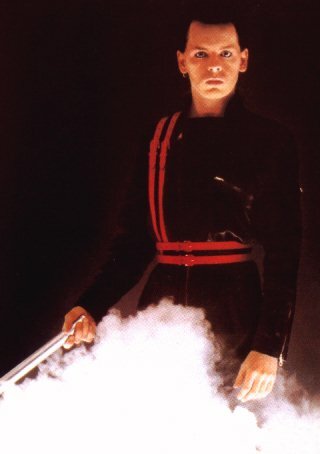 Gary Numan to me, was in 1979 everything that I was looking for in a pop artist. 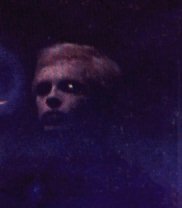 He was very much ahead of his time, when the blue album (Tubeway Army) this album is the best debut album that I`ve ever heard. by any artist!! came out in 1978. Gary had already recorded Replicas and already had his sights on recording The pleasure principle. If you think about it, Gary had superb future vision of which way pop music was to take. In the short time that followed the first three albums. Gary`s music was to transform the way pop music was to be written, recorded and performed. If you take into consideration the musical style of the early demos of The plan sessions. Gary knew very well that the punky themes of these songs were rapidly becoming out of date. Just three years separated The plan and Telekon, you think how different these two albums are! 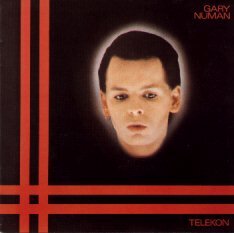 The plan is punky guitars and pure rebellion on Gary’s behalf, and Telekon is very musically polished. 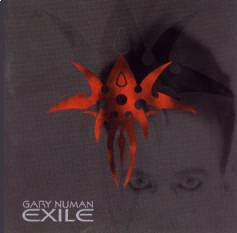 Telekon in my humble opinion is the most professionally polished album Gary had recorded, that is until Exile was released late in 1997. 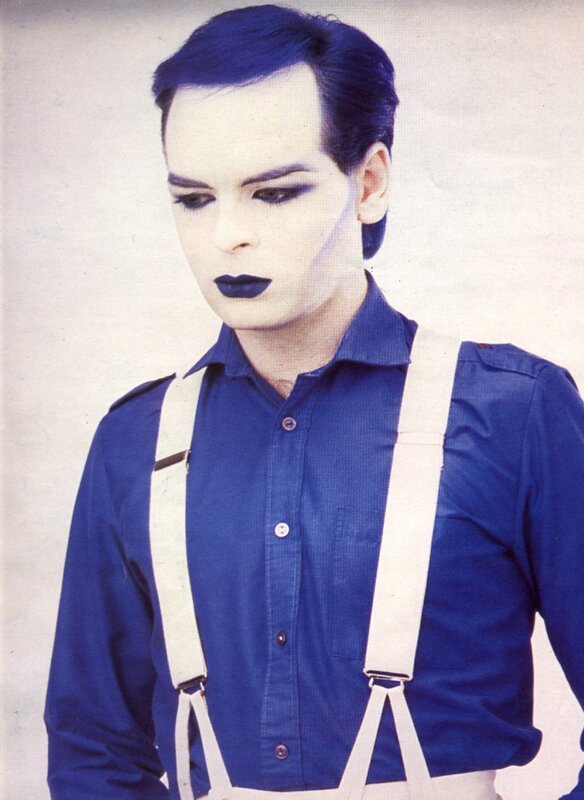 Even Gary`s live work was transformed by his electronic revolution, the 1977 live work at the Roxy/Vortex (these two venues until this day are debated in Numan circles) is rather like The plan in every way. Punky, rebellious and musically raw. Just three years later he had progressed from pokey little clubs to filling London’s Hammersmith Odeon with lavish robotic lightshows, with tons of dry ice. 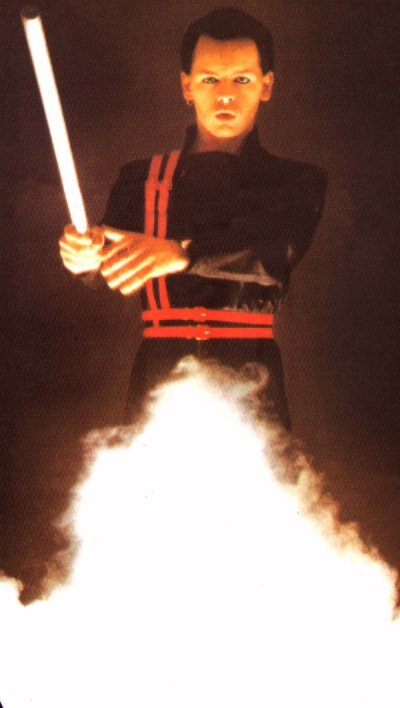 With The touring principle (the video of which, was the first ever music video to be sold to the public. it beat Blondie’s by just a few weeks, another revolution from Gary) he embarked on what was to be a gruelling schedule of concerts and tours. The release of Replicas came in mid 1979 with the release of two singles, the first was Down in the park (to this day one of the best tracks I’ve ever heard. it still sends shivers up my spine) a limited edition 12" of 5000 was released with this track. I’m a lucky proud owner of one of these. Then the biggest ground breaking single of all time in my opinion followed. This track was called Are friends electric? Of which quickly achieved the number one singles slot on the British charts.Released as a limited edition 7" picture disc. All these releases were still under the name of Tubeway army. Late September of that year soon arrived, now the second album of that year was released. 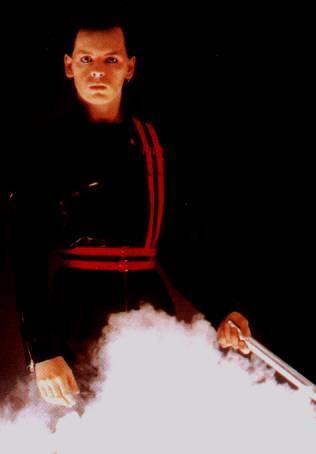 This was to be The pleasure principle, now under his solo name of Gary Numan. The pleasure principle was to be a musically revolutional album. Not one guitar was present. It featured the Ultravox member Billy Currie on the violin/viola. Billy played keyboards and violins on The touring principle. Two more singles, the first was Cars. This one was way ahead of its time, synthesisers all over the track. It was to be his second and last number one single, the singles that followed by rights should have got there too in my opinion. Then came Complex, this one’s a dreamy little ballad. Good song mind you! 1979 came to an end and 1980 stated where the previous year left off for Gary. More tours, interviews, TV appearances. Even with the heavy workload Gary embarked on recording Telekon, this is still the best album in my eyes. Telekon was about a tired, disillusioned and a young man that wanted out. By this time Gary had the thought of a break on his mind. Two singles preceded Telekon, these were We are glass (guitars reappeared on this single), We are glass was a very strong new track and soon shot up the higher regions of the charts. Then came I die: You die, this was another strong new song and repeated the same pattern as We are glass. Telekon was a lot less raw than the last album. More fluid, emotive and a strong feeling of a coming farewell. The one and only single off the album was This wreckage, the total culmination of Gary’s feelings towards the way his life was going. 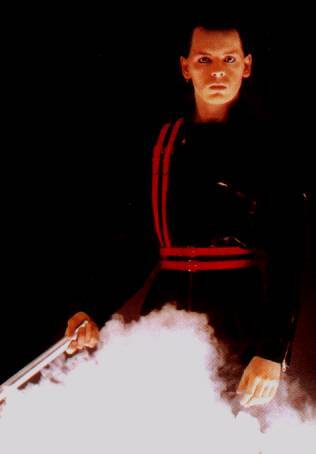 He toured again with Telekon, this was called Teletour 1980. A new and improved set with his new image. He toured the UK, Europe, the Far East, Australia, and the USA. 1980 then came to an end. Then 1981 started with the planning of the three farewell shows at Wembley. These were to be his best ever shows. The most lavish shows of their time. These were very special shows. I remember them well, I was fortunate enough to get to see one of them. Not a dry eye in the place, especially when he sung Please push no more. The following albums, Dance, I, assassin, Warriors saw the end of the machine music era, and started a more subtle direction musically. Dance, the next album, released a few months after the Wembley shows. Saw a complete change in image, now we saw Gary wearing double brested suits and a grey trilby hat. The new gangster had hit town. As much as the image had changed, the music had changed too. This album incorporated a latin American feel to it, She`s got claws. The song that he previewed at the Wembley shows was to be the only single off Dance, saxaphones appeared for the first time on this track. When I, assassin was released in 1982 Gary took a tax break to the USA for six months. and while he was out there, He started to miss touring and had regrets in announcing his retirement with the Wembley shows. So with that he started to plan a club tour of the USA. This tour was called the I, Assassin tour. When he returned te the UK in 1983, he got straight down to recording his next album called Warriors. with this album Gary changed to a new Mad Max like image with all the studs and black leathers, also now he had blond hair. Gary then embarked on a massive 40 date comeback tour of the UK. Warriors saw the end of the Beggars Banquet years. The next album Berserker released in 1984 was to start the releases through Gary`s own label called Numa records. With this venture Gary took a big gamble, But this gamble in my opinion paid off hansomly for him. Gary was now free to release what he wanted when he wanted. He was the boss now! Berserker saw a stark new image, Gary dyed his hair blue and wore white theatrical foundation, elcectric blue rouge and lipstick. And to put the icing on the cake he wore a complete white leather outfit. A stark contrast to the blond haired Mad Max Warriors image the year before. Now The iceman had truly came. Two singles came off Berserker, the first was the title track Berserker. This song saw Gary entering into computer generated music. Berserker itself was a uncannigly raw edged song, powerfull synth lines and sung in a lot deeper voice than previous songs. The second single was called My dying machine, another new little surprise from Gary, he toured again with this album. Now 1985 arrived and Gary recorded and released the album The Fury. Another sweeping change of image, this time Gary appeared in a smart white evening dinner suit and a winged shirt accomplied by a red bow tie. In this year Gary worked with Bill Sharpe, the keyboard player from the group Shakatk. They released a single called Change your mind, this enjoyed minor chart success. 1985 drew to a close and Gary started to write and record the next album. This was called Strange Charm, this was preceded by two singles, one called This is love(a dreamy little ballad). The other called I can`t stop, these two singles were released on a load of formats. The only single released after Strange Charm was called New thing from London town. This was the second to feature Bill Sharpe, Gary rewrote the lyrics to this on the album version. This album was end the first installment of the Numa years, due little or no radio airplay from BBC radio one. Gary`s sales started to decline and forced Numa to close, In my opinion radio one not playing Gary`s singles added to the dispondancy that Gary felt. If I`d been Gary I would had said, right that`s it Im quitting the industry for good. It`s a good job that Gary was`nt me is`nt it?? It was to be nearly two years untill Gary released his next solo album! But in between this time he worked with someone Hugh Nicholson, who was trying to promote a band called Radio Heart. so Gary was asked whether he wanted to feature on the vocals for three of thier songs. Gary obviouslly agreed and three singles were to appear, these were called, Radio Heart, London times, and All across the nation. Radio heart was the only single to enjoy some brief chart success. While all this was giong on, Gary was trying to secure a new record deal with a major company to release the next album. This company turned out to be a company called IRS(International Record Syndicate) owned and distributed at that time by EMI records. So a deal was signed and Gary recorded the Metal ryhthm album two sigles came off Metal ryhthm and they were called, New anger and America. As with the last few singles little or no radio airplay soon killed off hope of them charting. Gary toured again with this album, but the tours were getting shorter with less venues. So 1988 came to an end, but in 1989 Gary started to work with Bill Sharpe again. This time they recorded a whole album together, this album was called Automatic. It featured Change your mind and two other singles, the first called No more lies and the other called I`m on automatic. As with the other latest singles, these had very limited chart success. 1989 ended and Gary started to build his own recording studio in 1990. It was to be another eighteen months untill the next album was to be released, this was due to the construction of his new studio and wrangling with IRS about the content of the next album called Outland. The album Outland was named after his new studio, only one single came off of Outland. That was called Heart, limited success in the charts again. This album ended the IRS years. Now 1992 was apon Gary and there was no new record deal to be signed, so Gary decided to relaunch Numa records. With a single called Emotion and a compilation album called Isolate. he toured twice in 1992 one called Emotion tour and the other called Isolate tour. This was to be a prelude to the release of the first new album on the reborn Numa records, this album was called Machine and soul, in my opinion, the worse album Gary has ever recorded. Gary suffered for the first time in his entire career, writers bloc. He`d basically run out of ideas, this album does reflect this with it`s content. This album was not a Numan album at all, it had the hallmarks of the new guitarist. His name was Kipper. Gary toured the year after and started to see Gemma, his lovely wife to be. Gemma started to be a rock for Gary to lean on. 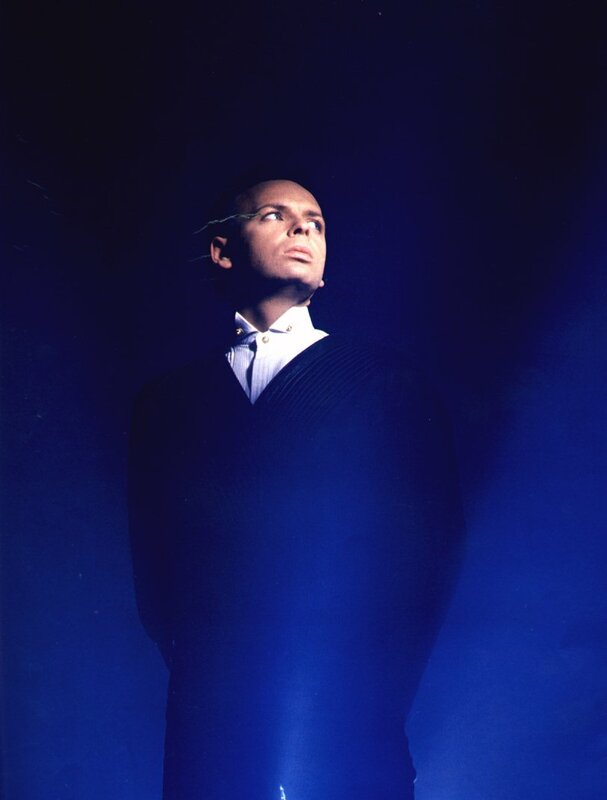 She suggested to Gary that he should do what he does best, and that is go back in to the recordind studio and record an album of a very Numan nature, dark, deep, and how Gary used to rcord. That is with passion and belief in his self. So the next album Sacrifice was born, released in 1994 and a big shift in direction for Gary, new, refrehed and eager to go. He toured with Sacrifice and released two singles off it, they were called A question of faith and Absolution. 1994 then drew to a close and Gary started to record his latest album Exile, released three years after due to problems in the studio and trying to obtain a record deal with a new company and this company was called Eagle records. Exile released in 1997, the year he married Gemma and embarked on his biggest tour since Warriors tour, this one was called the Exile tour. one single off Exile and that is called Dominion day. As I write this Gary is busy recording his next album due for release next year. This is his first album recorded since upgrading and updating Outland, his studio.